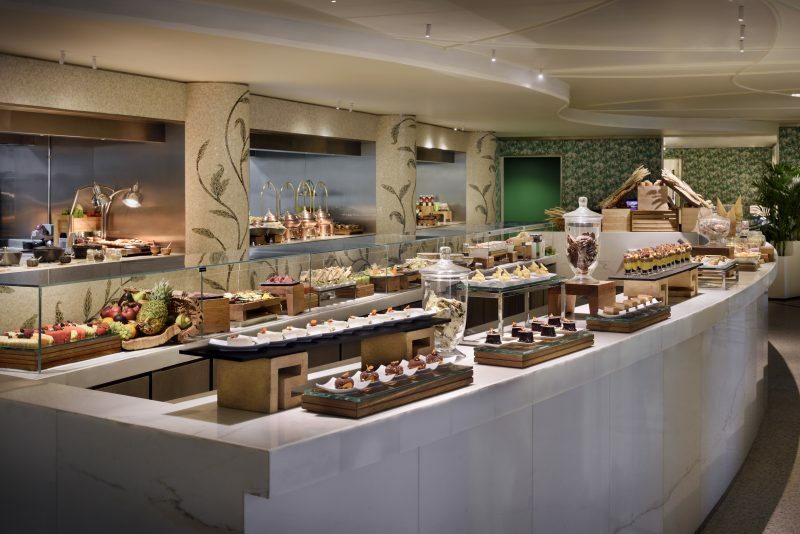 Giardino reveals itself to The Luxe Diary as the well-kept secret brunch of the style establishment in Dubai. This is a brunch experience for those seeking pleasure not only in the refined aspects of fine dining but in eclectic beauty, style and culture. 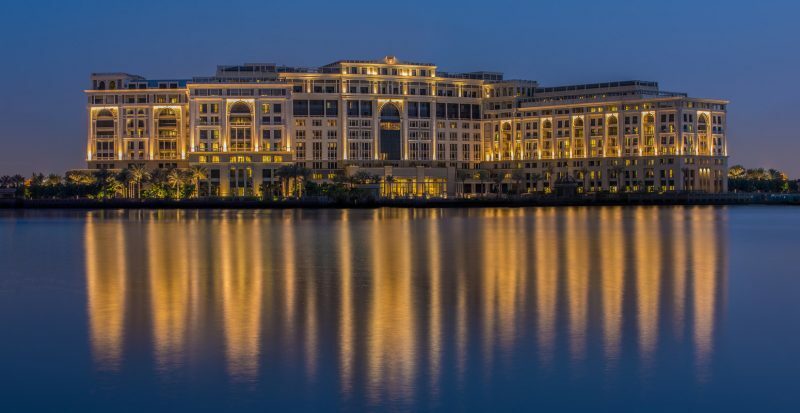 For a hotel borne from the signature brand created by Gianni Versace, who was famously quoted for saying “I don’t believe in good taste” when faced with criticism for dresses and fashion styles that were deemed too risqué, Palazzo Versace exudes a high level of class and culture. But as a lover and collector of pop art, Versace was also a fan of the classics, such as Picasso and Jasper Johns and this style dichotomy has transcended to the design of the Palazzo Versace. Versace’s strong legacy which defined 90’s fashion so iconically really comes through in this property. Popping colours, extravagant style and rococo gilded ostentation marry dissonantly but successfully with more muted classic elegance throughout the hotel and at Giardino. This all echoes the heavy cultural lien that the Versace brand evokes, which is what we love. 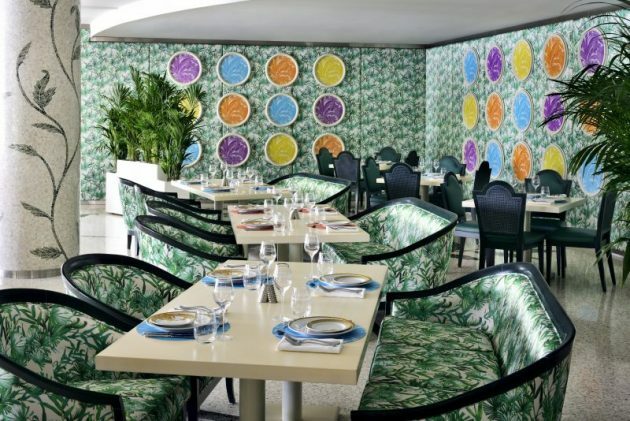 Giardino is the ‘garden’ restaurant of the iconic Palazzo Versace. There is a Greco-Roman feel to the soft sand-colour walls and the stunning tacky rich quintessentially Versace jungle-green (think that J-Lo dress again!) palm-themed wallpaper. Greek mythology played a critical role in Gianni Versace’s life influences and the Versace Medusa logo so prevalent in the iconic Versace tableware represents the Medusa before her transformation to monster, emphasising her beauty and power. The modern take on the air of antiquity at the Palazzo and in the Giardino hark back to this inspiration with huge success. As we enter, we love walking through the gloss-white French window doors of the restaurant’s lobby taking in the vista through to the main room. Through the dark green lush palms that subtly split the slightly large dining room into smaller salons, we catch a glimpse of the neo-classical Ischia pool which guests have complimentary access to before and after brunch. Diners are well-heeled and spruce, but relaxed and appear to be quality-led in their brunch choice. 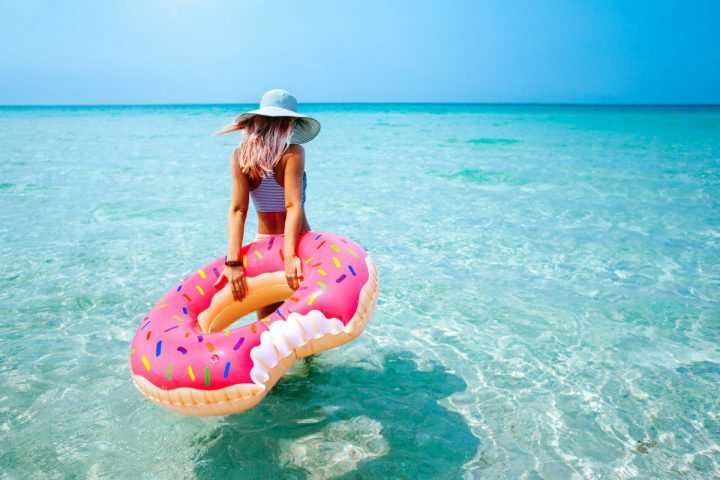 The dress code is poolside chic and allows brunch-goers to indulge in high quality gastronomy in casual-chic attire. Throughout the brunch, we love the performances by live duo band Claudia Patrice and her pianist. Their repertoire is well-suited to the atmosphere and her voice is divine. 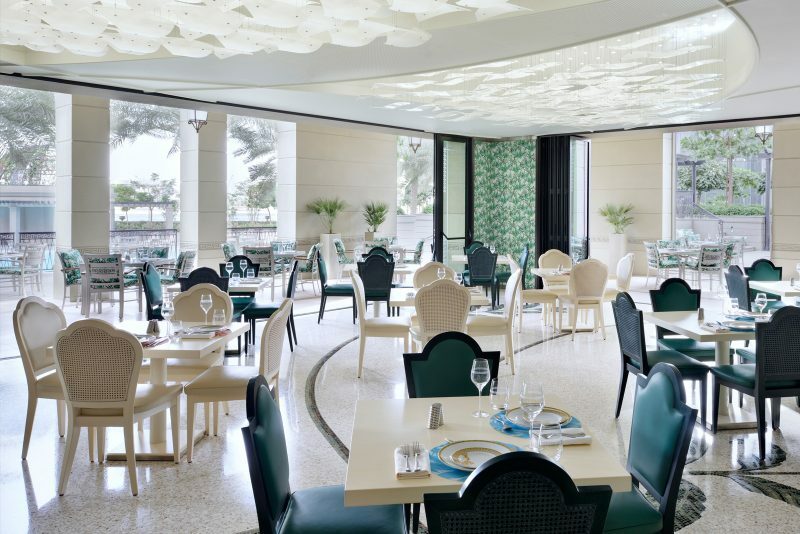 Giardino’s Chef invites diners to indulge in a luxurious choice of international favourites including Italian, Arabic, Indian and a range of seafood options. 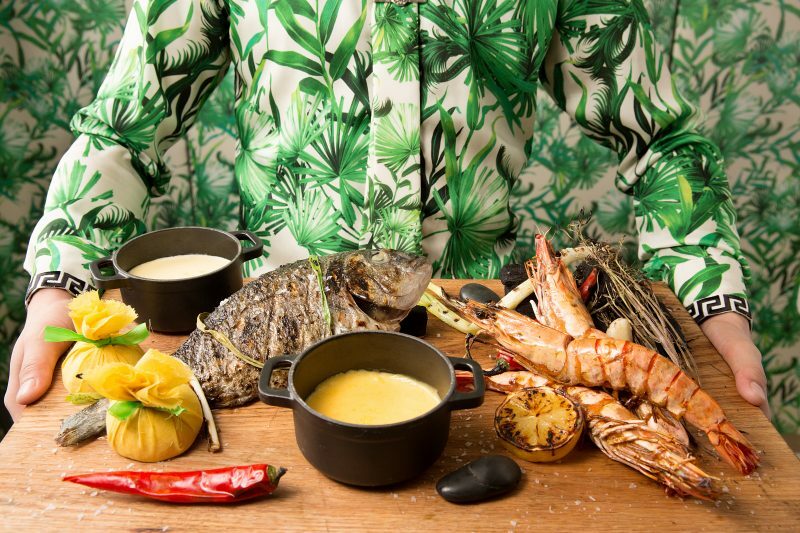 In fact, the seafood with giant king prawns so fresh and pink, and meaty Alaskan snow crab as well as the freshest oysters, is probably some of the best we’ve experienced in Dubai. 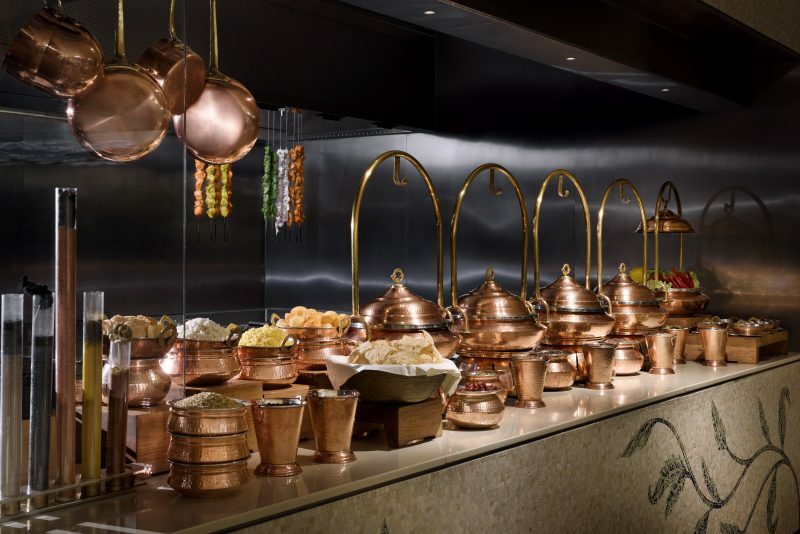 With a vast range of international specialities to enjoy (our favourites include the Japanese and the carvery), diners are spoilt for choice – quite literally. We chose to sample all the stations but asked Chef also to prepare the simplest of Italian specialities, spaghetti with pesto. The handmade pasta and pesto were absolutely off the charts. 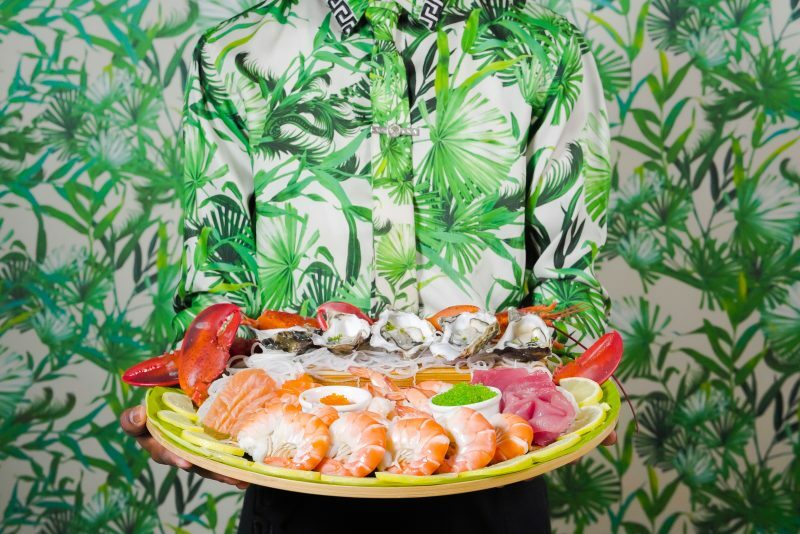 In The Luxe Diary’s view, the pasta and Italian offerings are some of the best takeaways from this brunch, save perhaps for the unexpected hero: the lobster tails grilled to order. For the expected hero, dessert, we are unsurprised yet still impressed at the intricacy and detail both in the range and beauty of the selection. Big fans of the Versace tiramisu, as loyal Luxe Diary readers will already know, it is a delight to come back to. The pops of colour and sheer luxury of these designer dessert are a real treat. The gelato trolley is also a real luxe plus and a huge hit with our little Luxe Diarists. The Giardino brunch is available in the traditional soft, house beverage and French bubbly formats and how could we resist washing it all down with the most delicious of brut Roederer champagnes? We could not. We loved very minute of it. To complete the Versace experience, a majestic baritone opera singer belts out Italian opera classics to a live piano accompaniment in the hotel lobby at the closing of the brunch. Resting in the gilded rococo armchairs a moment, basking in the soft afternoon glow bouncing off gold leaf paint and enhanced by rich crimson velvet upholstery, the idyll is complete. We are replete both gastronomically and culturally. 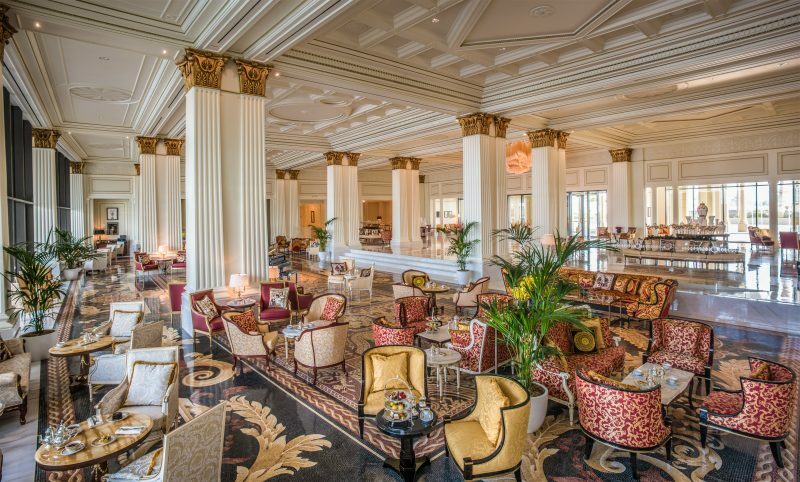 While access to a Versace collection may be something some of us may only dream of, Palazzo Versace and the Giardino brunch is a democratic and accessible experience laid on with so much class and quality. 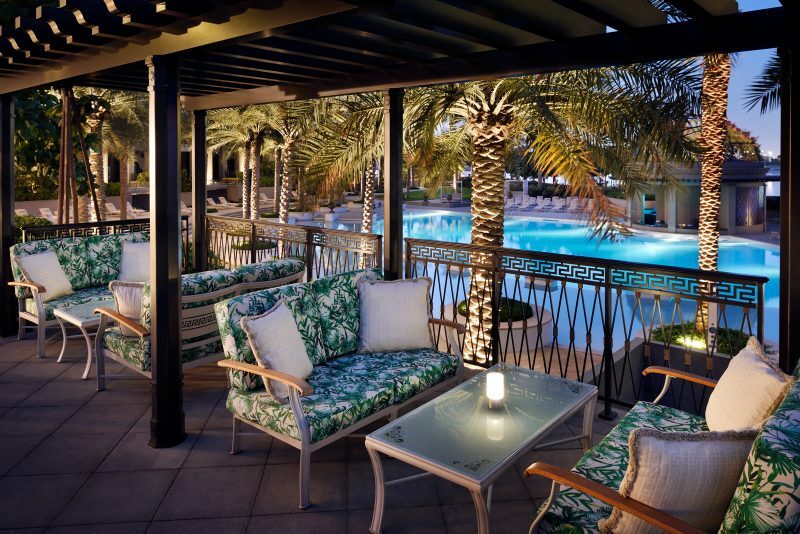 The Giardino Friday brunch allows you to experience the Versace glamour and ease, a luxury of our time available for any aficionados of a Dubai life lived in style. 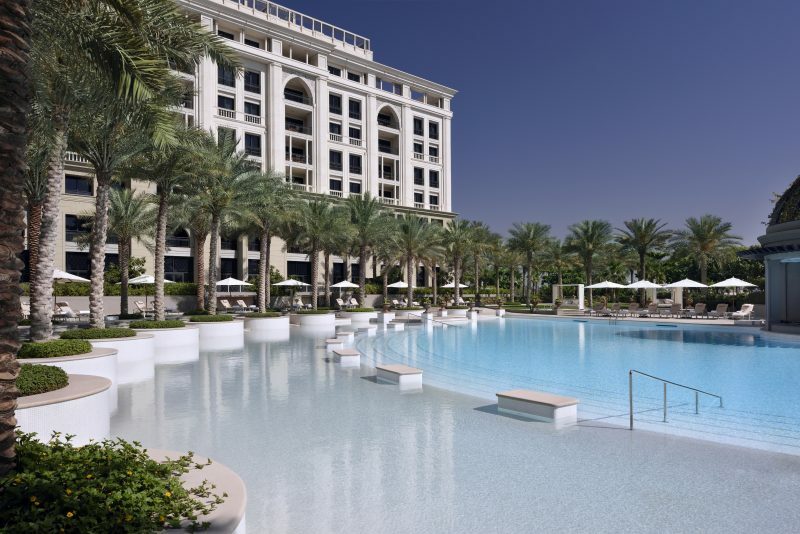 For reservations email giardino@palazzoversace.ae or call +97145568840 or book online.